It’s been over a year since we last saw the release of a film fueled by rock and roll. BABY DRIVER (2017), though a great action movie, wouldn’t have had the same impact without its heart-pumping soundtrack, featuring Beck, The Damned and more. Fortunately, this month, we get not one, but two films that use rock music as the driving force of the story. 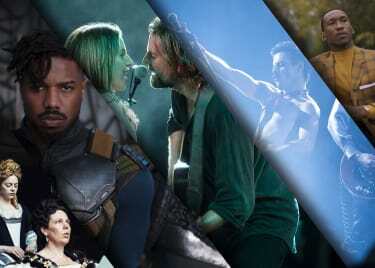 Learn more about A STAR IS BORN and BOHEMIAN RHAPSODY and get your tickets at AMC. A STAR IS BORN was a big undertaking for Bradley Cooper and an even bigger accomplishment. 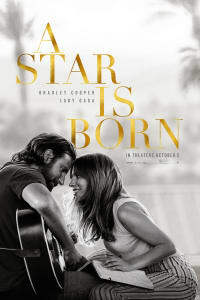 He made his directorial debut with the romance-drama — which is sure to receive multiple Academy Award® nominations — as well as co-wrote the script and starred alongside Lady Gaga. He even helped come up with his character’s sound and some of the film’s original songs. “I had a sound in my head that I wanted Jackson’s guitar to sound like, and it was heavily influenced by Neil Young,” Cooper told us in an exclusive interview. He also said he spent “months and months working on that voice” and practicing guitar with Lukas Nelson, who plays in his on-screen band (the real-life Promise of the Real). 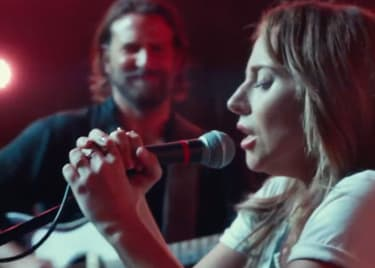 Whichever musical genres you love, you’ll want to experience the concert-quality A STAR IS BORN in theatres. Get your tickets at AMC today. 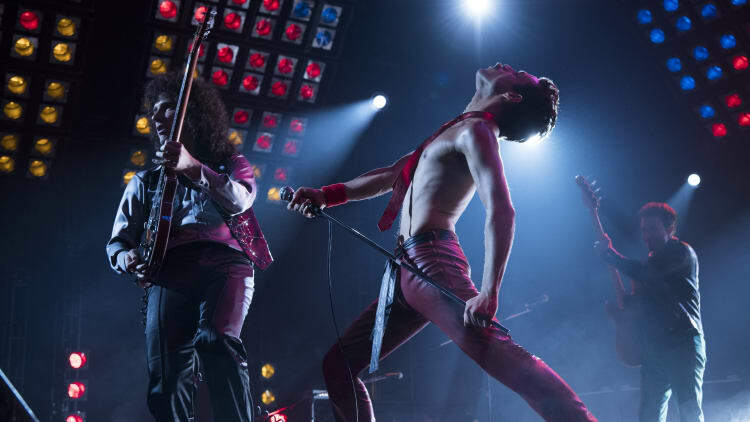 Get ready to sing along to “We Will Rock You,” “We Are the Champions” and, of course, “Bohemian Rhapsody.” The new bio-drama, opening November 2, is a foot-stomping celebration of Queen, their music and their legendary lead singer, Freddie Mercury. Almost everyone can name at least a few Queen hits, but many don’t know about the band’s journey to fame or about Mercury’s extraordinary life. 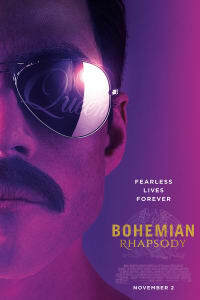 BOHEMIAN RHAPSODY shares those stories, with incredible performances that’ll make you laugh, cry and cheer for an encore. 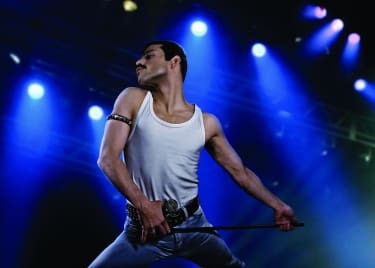 BOHEMIAN RHAPSODY has been 10 years in the making, but the film — and its soundtrack — will be worth the wait. Get your advance tickets to the November 2 release at AMC today.